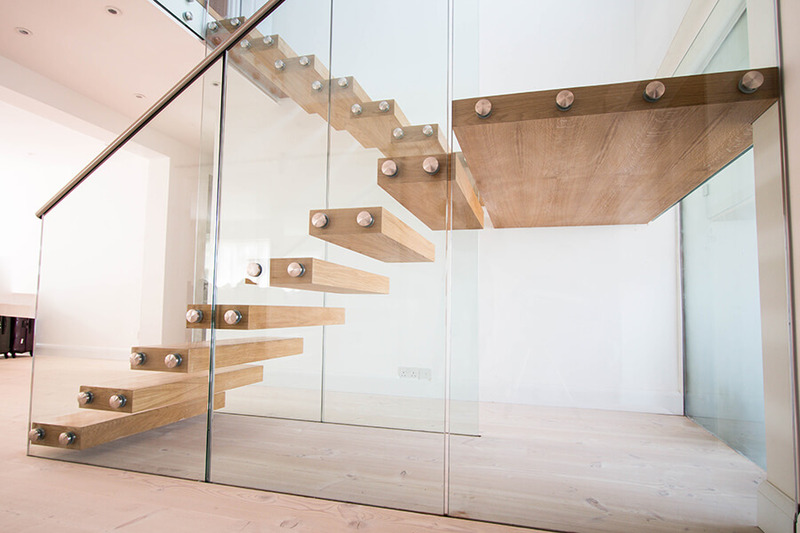 An idea to turn a staircase into a centrepiece of an apartment is always a good idea, challenging as it is. 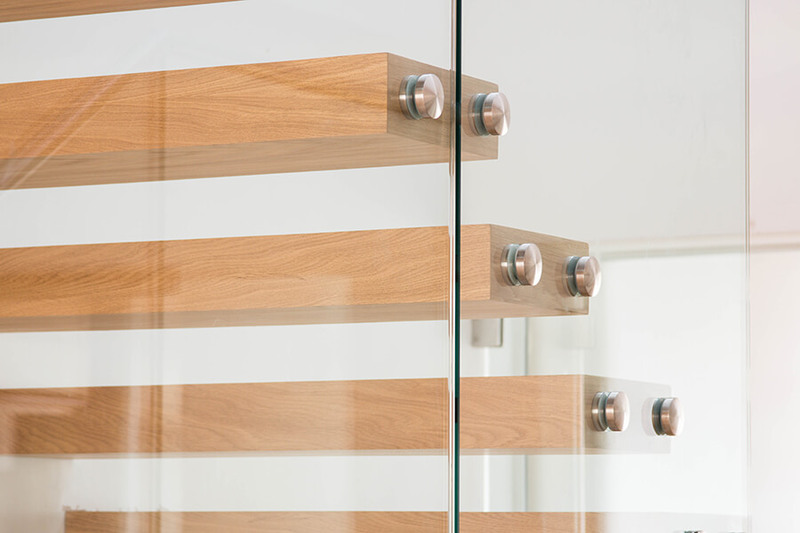 The flat needed some timeless design, which at the same time would be its pillar of strength. 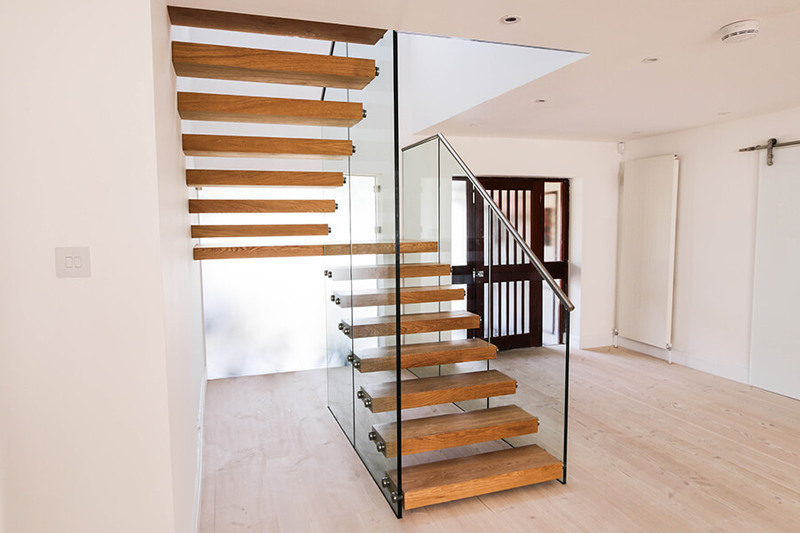 And so, to give the floating staircase a robust look, we decided on thick oak stair treads and a wide, reliable landing. 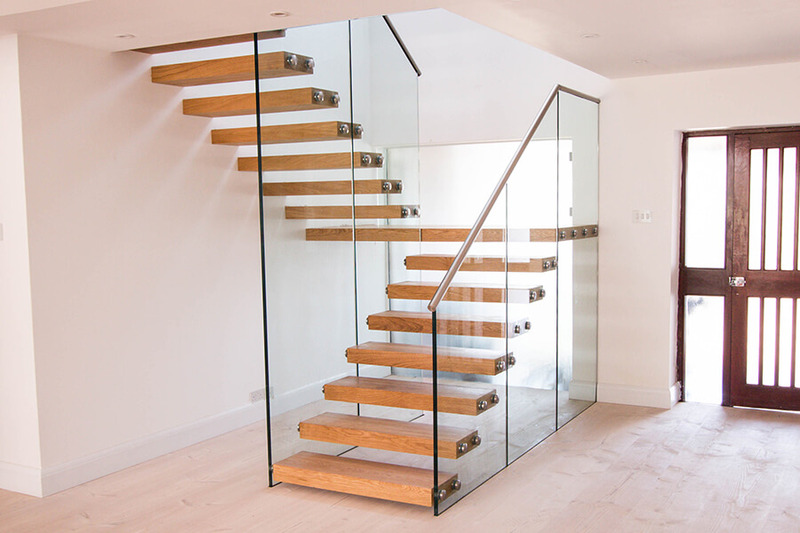 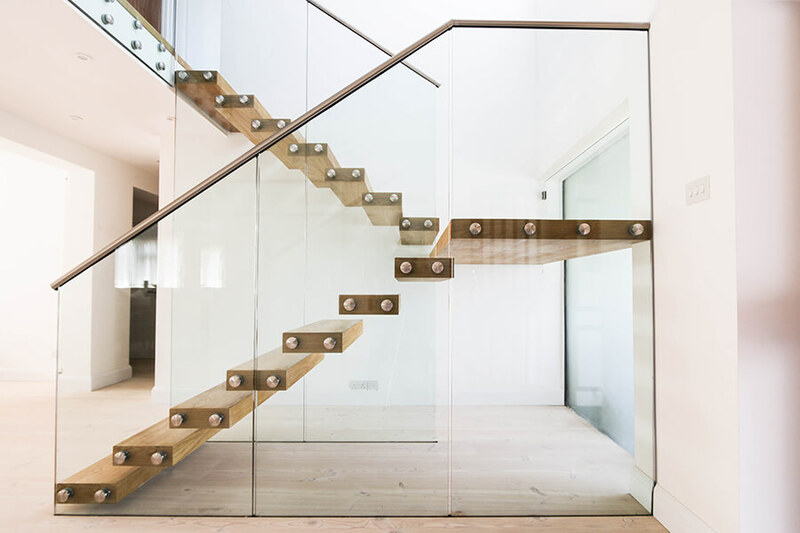 Toughened glass stair panels are supported by embedded channels in the floor in order to secure the treads. 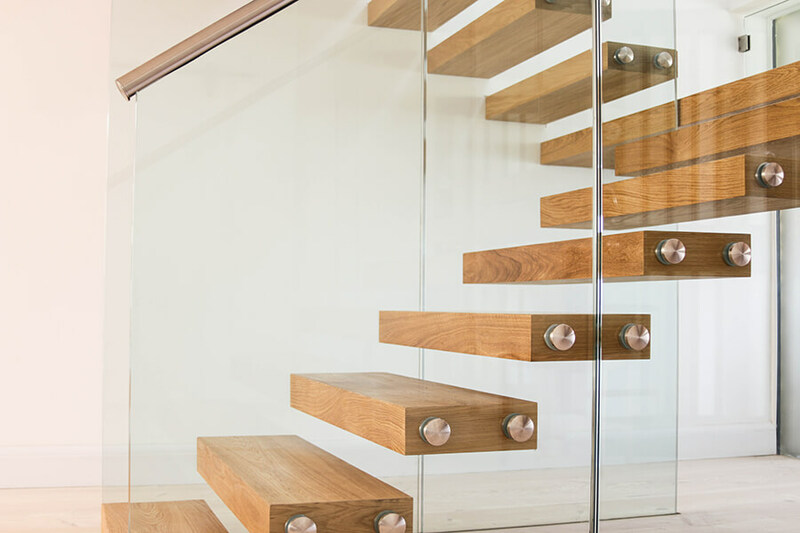 Handrails installed along the stairs ensure extra security. 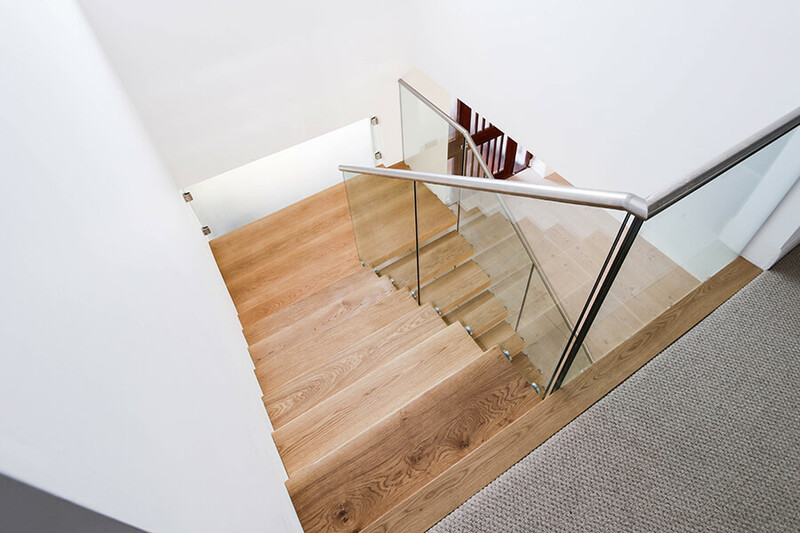 In other words, we took care of every step of the client.